When traveling for long distances more so by flight, you may not get the opportunity to brush your teeth as you normally do. And as you take meals, bacteria tend to accumulate on your teeth. Chewing sugarless gum comes in handy to help prevent cavities by allowing the flow of saliva which wipes off all the cavity-causing bacteria. Your teeth remain clean and your breath stays fresh the entire time. It is advised that you get sugarless gum with an ADA (American Dental Association) seal. When traveling to a new location, there are many uncertainties with regard to how pure the water is in the place that you’re going to. If the water there is compromised and isn’t healthy for consumption, it is advisable that you also don’t use it to brush your teeth. A good approach would be to use bottled distilled water that is healthy for consumption to brush your teeth with. This is to eliminate the risk of getting gum infections that may result from bacteria in the polluted water. Check the water first before brushing your teeth with it. When traveling, you’ll want to store your toothbrush in a place where it is out of contact with other things that could contaminate it to keep off bacteria that could affect your teeth when you brush with it. You also want to ensure that you have a toothbrush holder that is well ventilated to allow for airflow and prevent moisture from being locked inside the toothbrush which could be a potential breeding ground for bacteria. Once you are settled in your travel destination, ensure that you clean your toothbrush and store it in an open place for it to properly dry out. While traveling, you may be in a position where you are not able to brush your teeth or you do not have access to your toothbrush. In such a scenario, using water can be quite helpful. Gaggle and rinse your mouth with a lot of water after every meal to wash away the bacteria that may accumulate on your teeth. 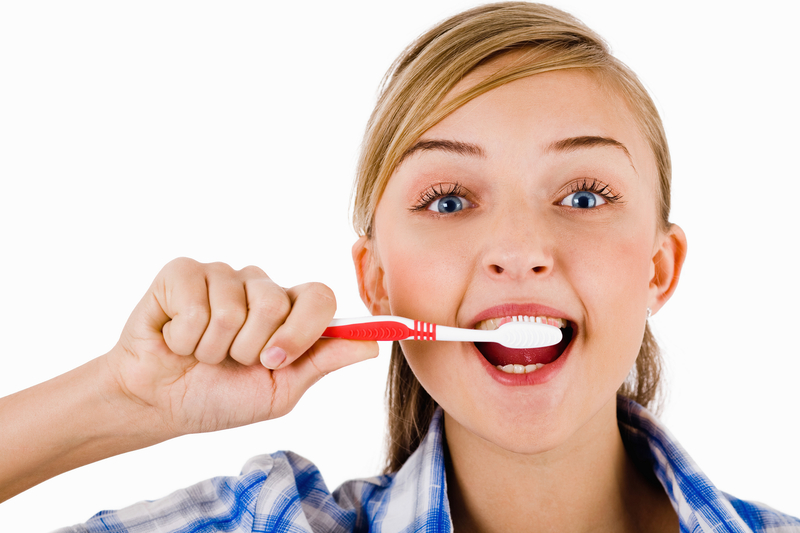 You can also rub some toothpaste on your teeth using your finger or a clean washcloth and then rinse it off with water. This will keep your teeth in check for some time before you get access to a toothbrush and do a proper teeth brushing. Flossing is easy and it only takes a few minutes to do but it goes a long way to help you maintain good dental health when traveling. Flossing helps to remove food particles and plaque stuck in between your teeth where your toothbrush bristles can’t reach. You can use a dental floss. In addition to this, there is a more effective way to floss and that is by using a water flosser. The best water flosser to use is Waterpik which is the leading brand in the market. Need to get one? Here is a detailed Waterpik Buying Guide from Clean4Happy.com.